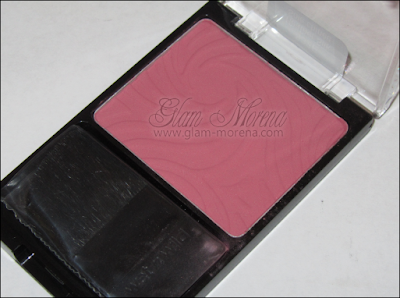 Glam Morena: Part 2: Wet n Wild Color Icon Blush. Part 2: Wet n Wild Color Icon Blush. Last month I posted a review on the Wet n Wild Color Icon Blushes that I owned. The two that I featured on that blog post were both of the shimmer finishes. This time I'll be talking about the matte finish blushes. Description: Sweep on this silky-smooth blush that strikes the perfect balance between a blendable transparent sheen and a radiant pop of maximum color. A special blend of treated nylon powders provides long-lasting color. Dermatologist-tested. 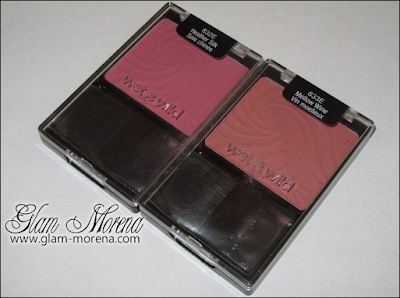 The Wet n Wild Color Icon Blushes are great, budget friendly blushes! I really like the formula of these Wet n Wild Color Icon Blushes. They both are matte finishes. Heather Silk is a rosy, mauvey pink and Mellow Wine is a dusty, peachy pink. 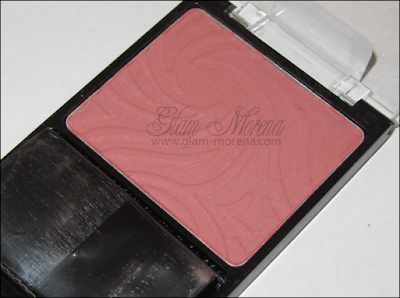 Heather Silk seems to be a dupe or really similar to the NARS blush in Mata Hari. The color pay off is wonderful. They're both equally highly pigmented. You're going to want to use a light hand during application. The color blends in easily. Best of all the blush apply very natural and are perfect for everyday. 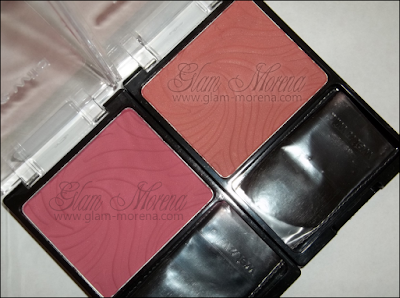 Both blushes are definitely universally flattering for all complexions. Swatches of the Wet n Wild Color Icon Blushes! 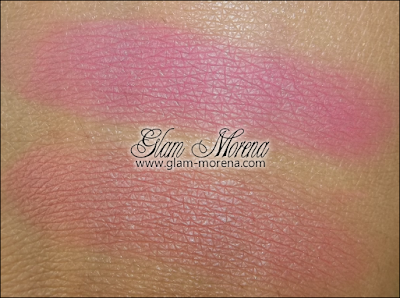 Have you tried the Wet n Wild Color Icon Blush? Favorites? Those colors are so pretty and I love the price! I've never tried them but now I am definitely gonna buy them! Very pretty... 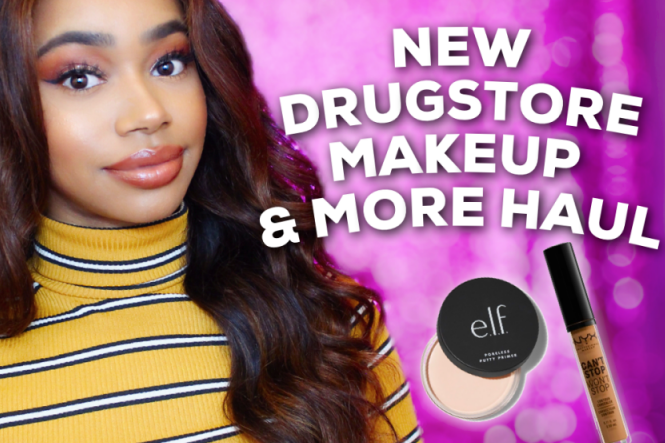 Wet n Wild really is making a huge stomp in the drugstore makeup arena! I can't wait to try some of these out. Really like the wine color. Interestingly enough, I think both shades would work with my skin tone. Nice colors. I remember having Heather Silk but the color just wasn't right for me so I returned it. I think Mellow Wine looks really nice though! I'd have to try that one out. Great review! The colors ARE very blendable and silky. Wish the packaging was different though. Throw out the brush so it could just be square not rectangular :P.
I own both colors and I think they're awesome!!! Really great blush.